Slam malformed corpse into the ground to briefly awaken it, then fillet with strong attack to trigger a roar, a blessing, or vexation. 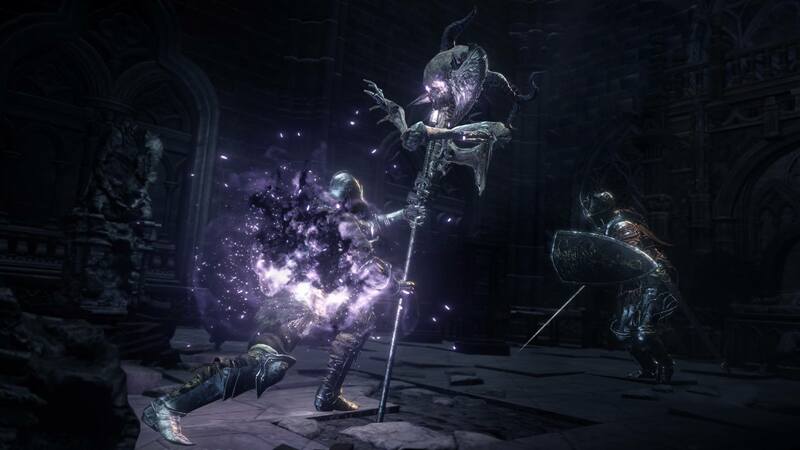 Mad King's Folly is a Skill in Dark Souls 3. (Roar): A roar that will deal damage and knock the opponent down. (Blessing): Give the player Perseverance. (Vexation): Spawn a dark orb that follows the player and will shortly explode. This will hurt the opponent and the player if they don't dodge. The chance of getting these effects don't have any pattern, so there's no way to predict what effect you can get. The first part of the Weapon Art will not consume FP but the second part will. The slam and thrust deal damage. A true combo can be done with this: (WA) - (WA) - (R2).